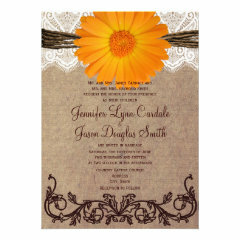 These rustic country wedding invitations have a rustic paper look with a printed lace design and printed twine at the top. 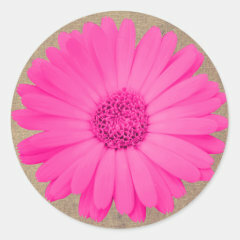 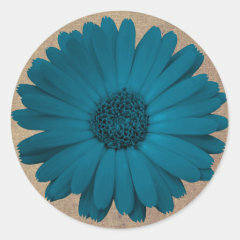 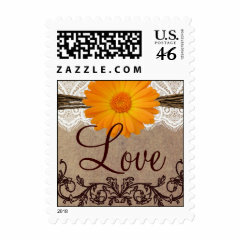 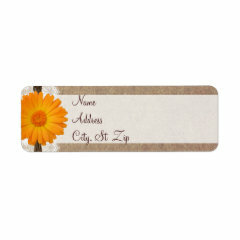 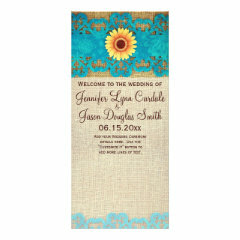 Each is accented with a colorful gerber daisy flower in a variety of colors to match your wedding colors. 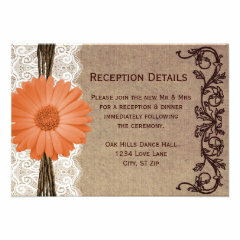 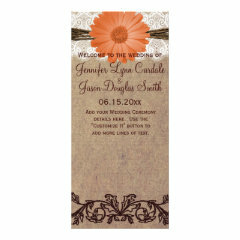 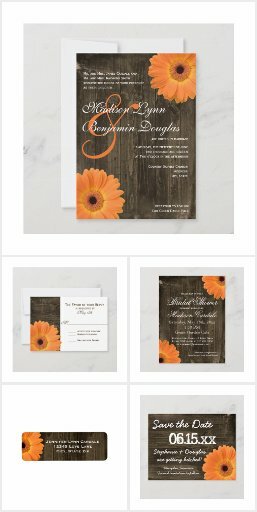 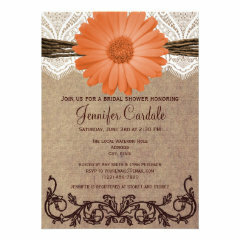 One of the most popular designs is the bright orange daisy wedding invitation set. 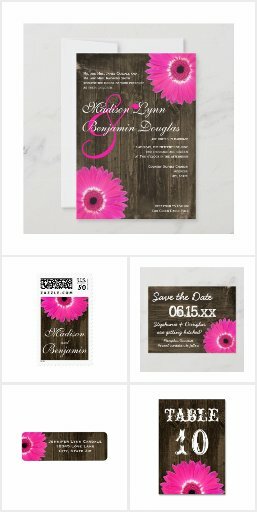 Hot Pink Gerber Daisy Wedding Invitation Set with matching invitations, RSVP reply cards, reception cards which can also be used for hotel accommodation cards, bridal shower invitations, and matching custom postage stamps. 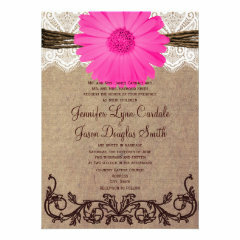 The design has a vintage looking paper with a hot pink fuchsia gerber daisy on the top with printed lace and twine design. 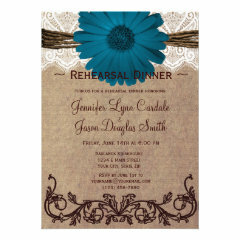 The bottom has a vintage scroll vine flourish design. 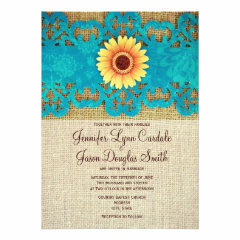 This teal turquoise blue and brown invitation set has a teal gerber daisy at the top with a printed lace and twine design on vintage looking paper. 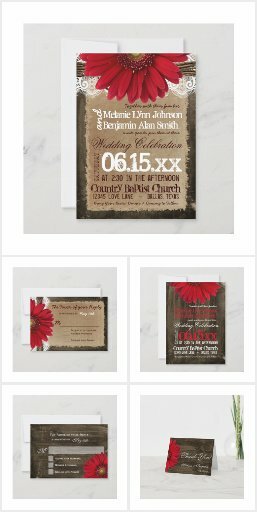 I highly recommend the "LINEN" paper type. 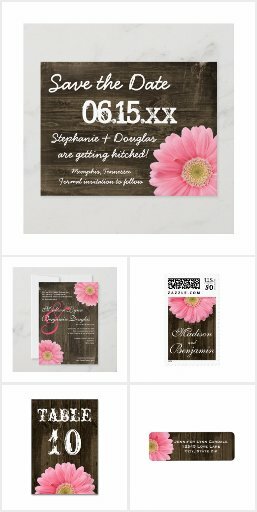 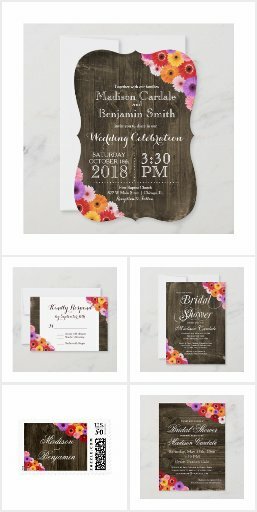 Matching items include the wedding announcement invitation, RSVP reply cards, bridal shower invitations, reception cards, custom postage stamps, and rehearsal dinner invitations. Bookmark this page and check back for more items and colors to be added soon. 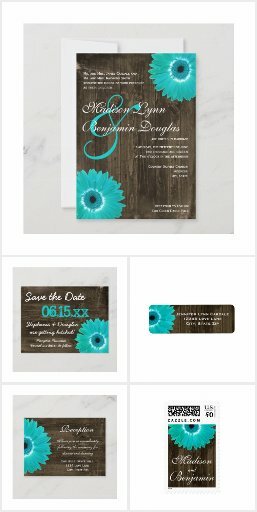 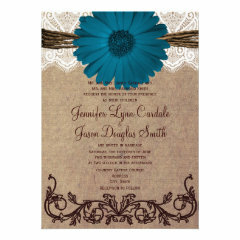 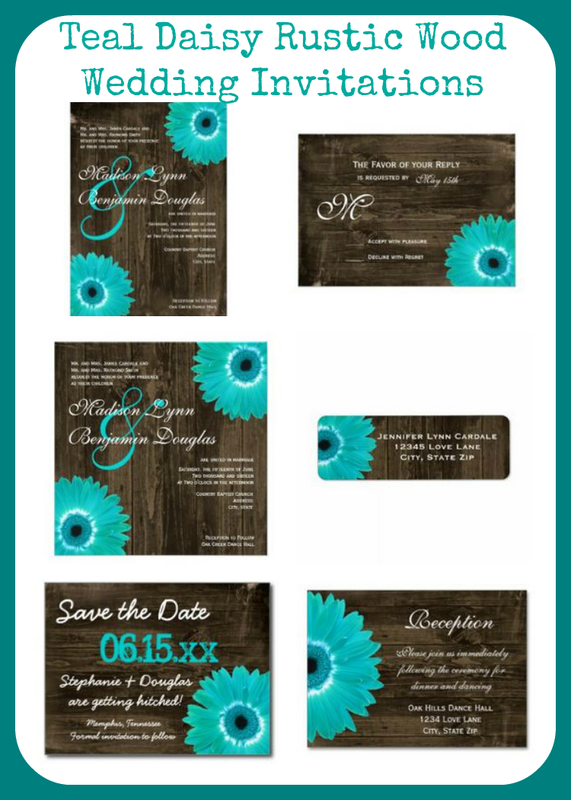 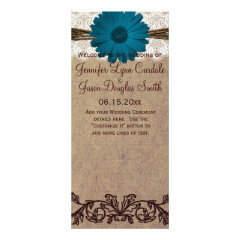 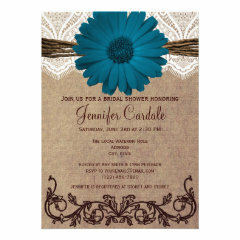 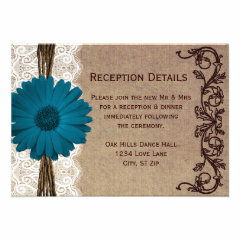 Here's a set of rustic wedding invitations with a blue daisy accenting the design.